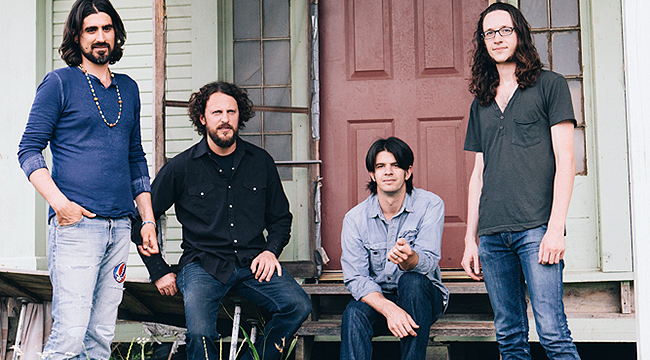 An introspective album about change and personal growth, Sunday Morning Record, The Band of Heathens’ fourth studio album is its most personal yet. It starts out with a reflective ballad about their hometown (“Texas”) and then offers a bit of everything, including rollicking garage rock (“I Miss My Life”) and Jayhawks-like alt-country (“Shotgun”). 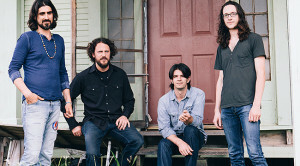 Singer-guitarist Gordy Quist (and Ed Jurdi, for a moment) phoned in to discuss the project as Quiest was driving to Nashville, where the band was performing at the Americana Music Festival. Start out by talking about the new album. You’ve said it was born “in the midst of change.” How did that influence the content? I think there was some uncertainty even before we even started recording. There was some uncertainty about what we were going to do when some of the guys left the band. We knew we had more to say. We found another rhythm section and decided to go on the road instead of going right into the studio. We wanted to get comfortable as a band. Then, when we went in the studio and it seemed like there have been a lot of balls in the air, between me having my first child and Ed moving. It was an interesting process. Life was swirling around the record as we were making it. Did you record in Austin? We recorded it all in Austin. It was probably the most comfortable place to do it because most of the band lives there. We were as comfortable as we could be, given everything that was going on. This batch of songs was a much more personal trip than anything we had written before. We wanted to give it some space and air and focusing on more wooden tones and organic sounds lends itself nicely to the themes and the personal nature of the material. Would you say there’s more of an emphasis on acoustic textures? This batch of songs was a much more personal trip than anything we had written before. We wanted to give it some space and air and focusing on more wooden tones and organic sounds lends itself nicely to the themes and the personal nature of the material. From record to record, we like to try new things. We have no interest in going back and trying to recreate a sound we’ve already done. I think it still sounds like the band. The soul of The Band of Heathens is intact. This album is a little mellower and more personal. It still has its peaks and valleys energy-wise. It’s not like every song is a ballad. It’s introspective. I found “Miss My Life” to be funny. Was it intended to be humorous? Yeah, it’s meant to be light-hearted. Not any one thing in particular inspired it; maybe just looking back and thinking that things used to a little simpler. Is “Records in Bed” about someone in particular? You had over 30 songs from which to choose. What happened to the other songs? I’m not sure what is going to happen to them. We wrote a bunch just for the sake of creating. We just threw them all together and recorded almost 20 of them and whittled that down to this album, more based on the themes and material that went together. I think there are some great tunes that didn’t make the record. Maybe we’ll go back in the studio and record another one quickly or maybe we’ll start releasing these on EPs. I’m not sure what we’re going to do yet. When you guys first formed, you all had solo careers. What made you think the band would work? Initially, there wasn’t a whole lot of thought or commitment. It was just Wednesday nights in Austin. It was just fun. It was a fun time to let loose and experiment with a band that didn’t ever rehearse and it was a loose experiment in collaboration and harmony. We were having a good time singing together and it just fell together. The songs seemed to work well with the band. There were some guys who left and we were just having a great time with it. We still are.